or equivalent FPGE (NABP). Completion of an ACPE Accredited Immunization traini ng program (for example, APhA, Pharmacy School Curriculum, State Pharmacy Associ ation sponsored). Pharmacy license (by job entry date). 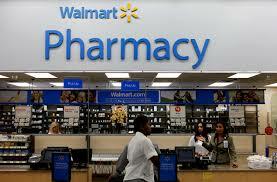 About Walmart At Walmart , we help people save money so they can live better. This mission serves as the foundation for every decision we make, from responsible sourcing to sustainabilityand everything in between. As a Walmart associate, you will play an integral role in shaping the future of retail, tech, merchandising, finance and hundreds of other industriesall while affecting the lives of millions of customers all over the world. Here, your work makes an impact every day.